Iron (ferrous sulfate) is an essential mineral that the body requires in small amounts to produce hemoglobin, a protein that is found in red blood cells that carries oxygen from your lungs and transports it throughout your body to your cells. Iron is needed to maintain overall general health and well-being, energy production and a healthy metabolism. Iron deficiencies is the leading cause of anemia in the United States, affecting 5% of women and 2% of men. Iron-deficient people are often chronically tired in part because their bodies are starved for oxygen. Iron helps muscle cells store oxygen and without iron, ATP (energy the body runs on) cannot be properly synthesized. Symptoms of an iron deficiency include fatigue, shortness of breath, and lethargy. Research shows that even a mild iron deficiency can impair sports performance and cause fatigue. The best forms of iron are Ferrous fumarate, ferrous gluconate, and iron glycine amino acid chelate. These forms of iron are more readily abosrbed than other formulations and are less likely to cause intestinal side effects such as constipation, nausea, and bloating. 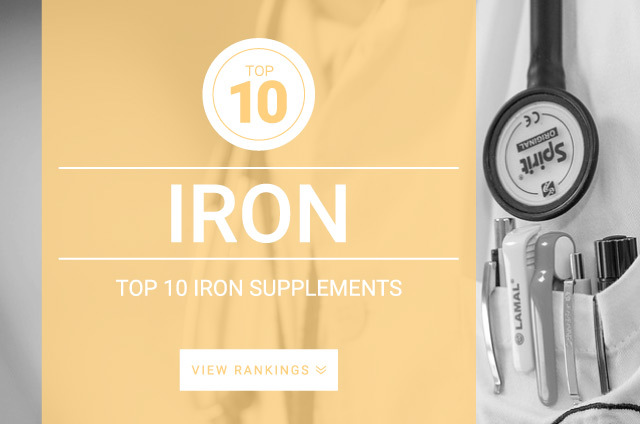 The standard dose recommended for Iron is largely dependent on individual needs. You may use these RDA amounts of guidelines.